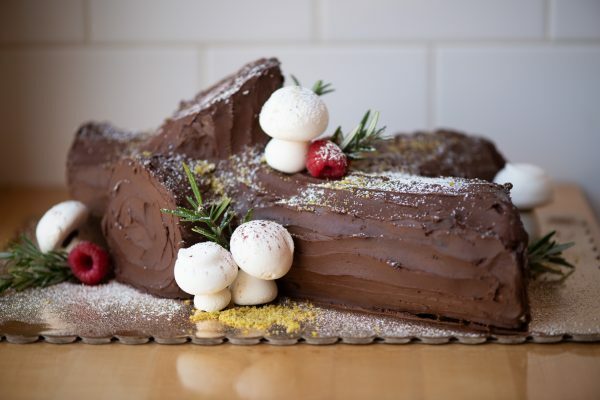 Kahnfections is proud to offer its take on the traditional Yule log dessert. Available in either a fluffy chocolate or vanilla rolled sponge cake. Filled with your choice of decadent chocolate mousse or lightly sweetened chantilly cream. Finished with either dark chocolate ganache or Italian vanilla buttercream.